Our facility is located right off exit 743. We’re easily accessible from anywhere in the area! If you’re in need of a storage unit and you live in Mt. 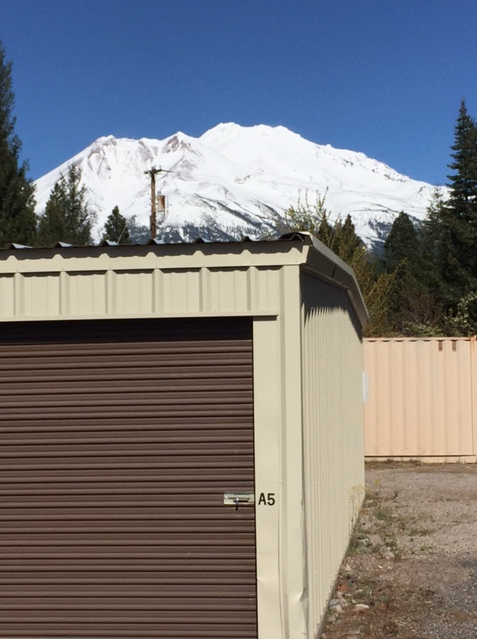 Shasta, Dunsmuir, Weed, or Black Butte, CA, our self storage facility has the solution you need. Within minutes is affordable and easily accessible self storage services with all the amenities you’re looking for. We’re just off exit 743 on I-5. Contact us today to get started! You’ll be surprised at how quickly you can load or unload your belongings with our convenient drive-up access feature. There are no elevators to wait for or stairs to climb. At our facility, simply drive your vehicle right up to your storage unit, drop your things off, and be on your way. It’s the quick and convenient way to do storage! Have you recently purchased an RV? Do you have a boat that’s taking up too much driveway space? At Mountain View Self Storage, we provide storage services for any type of vehicle. No matter what your vehicle storage needs look like, we have just the right solution for you. Contact us today to discuss renting one of our convenient parking spaces.